Colloidal Oatmeal is very commonly used in bath products for babies, adults and even dogs. All Natural. COMMENTS: Love this product! I use this in baby soap and all my lotions. It’s a great price and very good quality. COMMENTS: I use this in almost every product in my sensitive skin line, I also use it for my pet paw salve. It helps to soothe irritated skin and helps to protect sensitive skin from becoming irritated. 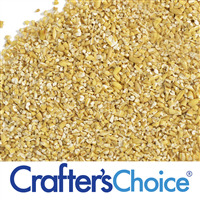 I’ve found Crafters Choice collidal oatmeal to be smooth, consistent and of high-quality. I would prefer if it was packaged in an opaque jar to protect it from light: however, since it is not when it arrives I transfer it to a light proof container for shelf storage. COMMENTS: Absolutely love this additive in my soaps. It creates a creamier lather in my recipe. People have told me it has helped with their skin conditions such as eczema and hyper sensitive skin. It is super fine like a silky texture. COMMENTS: I use Colloidal Oatmeal in almost all my HP and CP soaps. It helps to calm my skin when I have a eczema flair up. "I Use it SO Much!" COMMENTS: Oats are wonderful for so many things, so I made it a mission to acquire some, everyone was sold out or on back order then I came to WsS+ to find it and was happy. I was even happier when I finally used it in my soaps, bath bombs, body scrubs...its great, it adds a very soft grain to the product, so it gently, and I do mean gently exfoliates while bringing moisture to the skin and adds a creamy feel to my cp soaps, in my bath bombs it breaks down and kind of rushes out into the water in little specs that make it divine.... I love this stuff. COMMENTS: I use this colloidal oatmeal in my cold process soap. It helps with dry itchy skin and is even friendly for sensitive skin. COMMENTS: I loved this in facial masks and bath teas. "Used in my bubble bar and bath bombs"
COMMENTS: Used in a bubble bar and my bubbles lasted for thirty minutes Helped harden my bath bombs. "Helps with greasiness of oils"
COMMENTS: I added this to a lotion bar I made and it helps it become less greasy. However as a caution, when heated it gets a disgusting burnt smell (even though it isn't burnt) and it can't be covered up with a fragrance oil. It all takes on a bad smell. Used in the proper context though, like face masks or I also use it in a foot soak it is good. COMMENTS: Very nice texture, and very easy to blend into CP soap. "Love this in my soap! " COMMENTS: This oatmeal makes an awesome addition to my cp soap! COMMENTS: Game changing ingredient! Used in lots of products I make. COMMENTS: Have bought other places but this is the best out there. COMMENTS: I got this as part of the Oatmeal Sample pack, and am extremely impressed. I have issues with many powders as they seem to stay thick and hard to incorporate, but this oatmeal powder does not give me that issue. I just add some in with my superfat/colorant, blend it all, and I have no issues! Love it! COMMENTS: A great product for dry and sensitive skin. COMMENTS: I cant believe I have been living without this product! I need to buy more! "Great on Cold Process Soap"
COMMENTS: Gives my cold process soap a soft, creamy feeling. "Great additive! A little goes a long way"
COMMENTS: Nice powder, mixes well as an additive, seems to help harden as well as have positive skin benefits! "I tried but it didn't work :)"
COMMENTS: I added this to the goat milk and honey lotion base. If adds a nice soothing touch. COMMENTS: I have used this bath salts and lotions so far. It adds nourishing properties to both products. COMMENTS: Good price, comes in a sturdy resealable bag. I will buy again from WSP. COMMENTS: Great consistency. Packaged good. Excellent quality. COMMENTS: Colloidal oatmeal is such a good skin product. It helps relieve dryness and itching. It's very soothing and relaxing. Many of my customers with sensitive skin issues have been helped by the addition of this to their soap. I use it often in the winter months. Would definitely recommend it for anyone who makes soap. COMMENTS: Very nice in my CP soap. Very finely ground. COMMENTS: I mixed this in some aloe vera juice for a lotion and it mixed very well. I did not have an issue with it clumping. This does give off a color depending how much you use. My finished lotion was like a light grey color. I ended up adding some mica for color. I used 2tbsp in an 8oz bath of lotion. Perhaps I used too much but I followed a recipe I had. Will definately buy this again to add to some other products. COMMENTS: I really like how silky and finely ground this product is. The only thing I have to watch is the color when I want to make a really white fizzy/soap. Depending on quantity, it can bring ivory shade to product. But hey, it's oatmeal! I mitigate by using a little less or using white mica. COMMENTS: Makes soap silky soft. COMMENTS: I love this oatmeal and use it in all types of products from soap to bath salts and bombs. 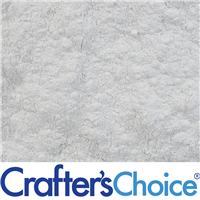 Super soft texture that mixes well in all applications. COMMENTS: I use colloidal oatmeal in a lot of my CP soaps and some of my lotions. I love this product. Does a great job. COMMENTS: Totally love this stuff! I put it everything now! COMMENTS: I use oatmeal in my cold process soaps and bath bombs. Never disappointed and easy to work with in both products. COMMENTS: I like how this colloidal oatmeal is so fine and when added to CP soap's it is not visible once it is blended in. I like how it feels and protects the skin when I add it to lotions, creams, and body butters. it is an all around good product to have on hand to add to what ever your creating. COMMENTS: I purchased the Colloidal Oatmeal to add to my MP & CP coaps. I started using regular oats, but read up on the difference between colloidal oatmeal and regular oatmeal. I like the consistency of the colloidal oatmeal as it is very fine and dispurses well in both MP & CP with a quick stick blend. Please note the oatmeal will not dispurse with a whisk or spoon. COMMENTS: This was my first time using colloidal oatmeal, I was very happy with the results! I've used regular oats and ground them in a food processor, it's just not the same as colloidal oatmeal and it's such a hassle. I am never disappointed with WSP! COMMENTS: wonderful addition to my facial products. COMMENTS: It was very easy to work with. I added it to my Baby Massage Lotion and customers loved it. I also used it in soap too. I like the nice finely ground powder. It makes it a lot easier to work with. COMMENTS: Works great in my face masks. I will continue to use. Great on skin. COMMENTS: I just started back up with the Soap Making, and I remembered EXACTLY where I got this oatmeal and made sure my latest order included it again. I love the effect it has on my CP soaps, giving them that little extra something that makes people happy to buy more. I give a lot of credit to this additive for repeat sales, I love it, and will always add it to my products! "Just add milk, great bath!" COMMENTS: We use colloidal oatmeal in our milk baths for a super moisturizing experience.Also great with european sea salts and coconut milk. Easy to mix into MP soap at low temps for a therapeutic bar. COMMENTS: This is the finest, smoothest colloidal oats! 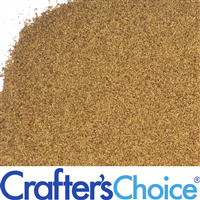 COMMENTS: I enjoy this oatmeal powder, its nice to work with and fine grain. Easy to mix in with other ingredients. "Excellent addition to your products"
COMMENTS: This is used in my soap and is thee most popular bar! COMMENTS: I used this in CP soap, the consistency is nice and can't wait to try it in a body butter. COMMENTS: Great quality and fine texture. I love to use this in my body butters and cpsoaps. COMMENTS: Love this product. I use it in as many products that I can. My customers love how moisturized their skin feels after using. Will re purchase at my next order. COMMENTS: I use this colloidal oatmeal in every batch of soap I make, as well as in lotion bars. It dissolves perfectly in both. This seems to help with slip of lotion bars, and it also seems to aid in humectant properties in soap. A great product to add both quality and sales appeal to products. I'll never be without this! COMMENTS: I received this as part of a kit and the I enjoyed the entire process of making an oatmeal lotion from scratch! I will be using the ingredients from this kit to make an entire lotion line. The lotion that included this product made an fantastic quick absorbing lotion that leaves your skin soft without any greasy feel! COMMENTS: Adds a nice feel to the products its added to. Will be using over and over. COMMENTS: Nice texture. Doesnt have large graininess particles. Blends well in CP soap. COMMENTS: I use this in my face masks for mature and aging skin, and customers love the results they get. It moisturizes without making skin oily. I have not had any problems with it and will be ordering it again. It does not smell weird or cause breakouts. "Colloidal Oatmeal is very good!" COMMENTS: Oatmeal is a very fine powder. Easy to work with and performs as it should. Makes lotions and soap so much more creamy. COMMENTS: I put this (along with kaolin clay) in the bath for my 3 year old who has eczema and it has really helped her skin. It does very well in CP soap as well. COMMENTS: I add colloidal oatmeal to all my cold process soaps. They always turn out so creamy and soft. My customers with sensitive skin love the colloidal oatmeal! They just keep coming back for more!!! COMMENTS: This is a great oatmeal to mix with powdered milk and those failed bath bombs that you might have on hand. It makes a great fizzy milky bath. And that oatmeal is so soothing to your skin. This is very fine, so you do not have to worry about it sticking to anything or clogging the drain. It's really lovely. COMMENTS: One of my favorite additives for soap. All the skin benefits of oatmeal without the exfoliate. It never causes accelerated trace or seizing in my soaps. Behaves beautifully. COMMENTS: It dissolves well in water, I have used it in bath bombs and bath soaks with no problems. will buy again. COMMENTS: I used this in my cold process soap and I like the feeling. COMMENTS: The benefits of oatmeal are well known and this colloidal oatmeal is high quality, finely ground and smells heavenly. I can't wait to use it in my Oatmeal, Milk and Honey soap. I use raw local honey and creamy coconut milk and this oatmeal will add a wonderful feel to the soap. I used it tonight in my all natural deodorant. Excellent results!!! COMMENTS: Definitely a keeper feels really nice in my body cream. "My uses is mostly facial products." COMMENTS: I add this to my OMH gm bars. I love the texture it creates, not too much but great for an exfolient. "beautiful bath bombs and bars"
"My Amazing Face Powders Never Felt So Good!!!" COMMENTS: I added a little Maddar root powder (maroon/brownish), Bronze, Copper and Peach sparkle micas, to my colloidal oatmeal, and it just lightly floats on my skin. Very lightweight, soft and smooth! I loved it so much I used it as a base for my pressed bronzer. I luv it!!!! COMMENTS: I used Oatmeal-Colloidal for a facial mask. The oatmeal was soothing to the skin and added as an exfoliate as well. COMMENTS: I used this in my cold process soap. It is a very fine powder and mixes well with my soap mixture. COMMENTS: Love to add this to CP soap. It makes the soap mild and gently exfoliating. Such a good product and easy to add to soap. COMMENTS: Just used it in my pets lavender lotion bars. COMMENTS: I add this to CP soap, lotion, and bath products. It is very fine and mixes very well. Love it! COMMENTS: This oatmeal is very fine and blends well into CP soap. I use it in my specialty soaps. COMMENTS: I use this in all my cold process soaps. COMMENTS: This colloidal oatmeal is a very fine powder and perfect quality. It disperses well in my soap products. I will continue to order from WSP. "Can be used in So Much"
COMMENTS: We use this in so many different products, such a fine product, blends perfectly. We use in lotion, lotion bars, Bath Bombs and scrubs. I love that there are not any clumps in it. COMMENTS: I love this in my soaps along with clay. its just gives the soaps a grand feeling! COMMENTS: Easy to work with and fantastic in my OMH soap! COMMENTS: I was using ground oatmeal in most of my soap recipes because I love the moisturizing properties of oatmeal. But I noticed they all felt a little scratchy or exfoliating. I recently read about Colloidal Oatmeal and how it adds moisturizing properties without the scratchy feeling. Now I add it all of my soap recipes. Great addition to my soaps. COMMENTS: I love adding the oatmeal powder to my bath infusions, and in some of my face masques - great soothing and healing properties! COMMENTS: Love using this in all of my CP soap recipes. Will purchase again. COMMENTS: It's perfect! Gives such a smooth, relaxing feel to my products. 10/10!!! COMMENTS: I like the consistancy of this product. Very easy to mix with my solid lotion bars. "Oatmeal, milk, honey soap "
COMMENTS: We like this product for our eczema/dry skin relief lotion cream. It is very easy to work with and is smooth in the end product. Great item! COMMENTS: I love using oatmeal in bath and body products. This one is fantastic and incorporates well. COMMENTS: I use Oatmeal - Colloidal in many of my products. It has never failed me. Great stuff. "Great Additive For CP Soap"
COMMENTS: I use this in every recipe of soap I make. It provides such soothing & moisturizing properties. COMMENTS: I put this in my soaps and lotions, it is great to help with itching especially for those with skin problems, the price isn't bad either! COMMENTS: I have added this to detergent free white M&P base to make my own DF oatmeal soap. Mixed well into the base and gave the soap a silky feel. Really like the product. Will be trying in bath teas next. COMMENTS: Wonderful in soaps and bath bombs! Lovely & Creamy! COMMENTS: Perfectly ground to a fine oatmeal powder and mixes well in my M&P soap, sugar scrubs and my lotions and butters. Very silky. Packaged well in a resealable package. COMMENTS: This made a difference in my soap-making. I will probably put it in almost all my soaps. Made a slurry with oil before adding. It is so fine that it makes adding easier. Smooth and silky feel and of course that added benefits of oatmeal. COMMENTS: I use this in almost all my soaps. It arrives in a zip bag, and is a nice powdery consistency. COMMENTS: This is wonderful in my CP soaps. Gives such a nice feel to the bar and skin! "I love the feeling that it gives to my soaps "
COMMENTS: I love the feeling that it gives to my soaps and other recipes. COMMENTS: I like adding this to the MP Three Butter and Baby Buttermilk detergent free soaps. It's so comforting and hydrating, especially during the winter months. I am looking forward to using this as a bath soak sometime soon as well. Easy to blend! COMMENTS: I love this in CP. All the benefits of oatmeal without the abrasive qualities of trying to grind your own. It's worth buying over DIY. "Love using this as an additive to hp and cp soap"
COMMENTS: I have started adding colloidal oatmeal to all my soaps now. Really helps soothe dry skin. COMMENTS: This is a great add in for all of my soaps. I have thee most sensative skin so I love this to help with my itchiness. COMMENTS: This is easy to add to all of my soaps! Great quality. COMMENTS: Love it! Perfect for nourishing bath fizzies. "excellent additive for any soap"
COMMENTS: Great product to use in facial masks. COMMENTS: Love this oatmeal for EVERYTHING I make... thank you WSP!! COMMENTS: Sadly it appears my son got my tendency to break out in hives.After a soaking bath in this..problem solved. "Used in DF Honey M&P"
COMMENTS: I used this in detergent free honey M&P and it added a nice soft feel. COMMENTS: I love adding oatmeal to my products, I think it brings a wonderful handcrafted feel to them and they make your skin so soft and healthy! COMMENTS: Love this colloidal oatmeal. I put it in all my soaps, as a powder or mixed with water. It's very very fine, so it incorporates into my oils very well using either method. "I really like the colloidal oatmeal. " COMMENTS: I use the colloidal oatmeal in all batches of soap except a few specialty ones. It mixes very well with olive oil and usually also mix in the goats milk powder. Its very fine and customers don't obviously know its there like when I had previously used larger oatmeal which could be seen and some didn't like it. This product gives the soap good texture, smells very good and stores well. COMMENTS: I combined this with detergent free three butter soap in order to make a detergent free oatmeal soap and it worked perfectly! Absolutely love it and my customers do too! COMMENTS: My main source for colloidal oatmeal. Works fabulous in soaps and scrubs. Much better than trying to grind oatmeal yourself. A great additive for increasing the quality of your product. COMMENTS: No complaints, it was exactly what I needed, and I love the resealable bag. COMMENTS: Started incorporating into recipes that I used to grind up oats in a coffee grinder. While I still do for exfoliation purposes, adding this fine powder adds a gentle softness to the product that I really like. Also works better than ground in my opinion for bath products. Dissolves nicely. COMMENTS: Easy to mix and incorporate into the soap batch. Need to order more next time. Great product! COMMENTS: I use this in both my soaps and bath bombs. I can't wait to use it in my bath salts, teas, and milks! It's a great price, and I prefer this over the whole oats! I would not shop anywhere else. COMMENTS: This oatmeal goes great in the Goats Milk melt and pour soap base. My customers love the soap with it. COMMENTS: Love to add this to mp soap and bath tea. Adds nice properties. COMMENTS: Just started adding it to my soaps and boy does it make a difference! It leaves my skin very soft and amazing without having to increase my superfat. I will be back for more. COMMENTS: I have been buying my colloidal oatmeal from WSP since I start making cold process soap, it's the only place I would buy from. It is the best price I can find. The product is uniformly very fine powder, very easy to use, highly recommended. COMMENTS: I used this last night in my peppermint oatmeal cp soap. It added in at trace beautifully, and blended well. I cut it tonight and it's perfect! High quality stuff. COMMENTS: I use this in my soaps. I love the feel this gives my soap. COMMENTS: Previously I was just adding raw oats to my soaps. Now that I have tried the colloidal oatmeal, I am hooked! I added it to the WSP oatmeal base with fantastic results! My customers prefer the added colloidal oatmeal to just regular oats! COMMENTS: A little goes a long way!!! Great product it works really well in my soap recipe I love all the products that I got from this website I can't wait to make another order fast shipping if you are hesitant about this web site don't be it the best so far. "I don't want to come out the shower!" COMMENTS: Absolutely love the results I got when adding the oatmeal colloidal to my hot process soap. My bars feel like luxury bars now - very smoothing and silky on the skin. COMMENTS: I use Colloidal Oatmeal in many of my products and it's great. The texture is very fine, so it blends perfectly into all recipes. I'm glad that I finally made the switch form grinding my own to this. My customers love it in bath bombs. COMMENTS: I waited so long before finally purchasing this. I thought finely grinding Organic Oats would work well enough...and it did, for exfoliation, but this gives my soaps a finer texture than ever before and I love the way it suspends throughout the soap (hence the 'Colloidal'). I will not be without this in future. COMMENTS: I use this in my goats milk soap and I love the quality of the product. It is finely ground and mixes in well. COMMENTS: Good addition to bath teas and soaps. COMMENTS: This is one of the best colloidal oatmeals I have ever used. COMMENTS: This product is so great for so many uses. I have a child with eczema and this really seems to help so I put it in everything! COMMENTS: This colloidal oatmeal is super fine and completely dissolves in my soap. You get the great benifits of oatmeal in your soaps but you dont see it! Absolutely love it! "WSP best price & quality"
COMMENTS: i'm a huge fan of c-oats in general and was so happy to find them at WSP where i can order & not have any ugly S&H surprises when checking out. i've ordered them from several places and was a little afraid that since the price was lower at WSP, perhaps the quality might be too. no need to have worried, the quality was great, the oats dissolved as well as any i've tried and leave the same velvety after-feel.